See all The Lakes - For Sale. See all The Lakes - Sold. 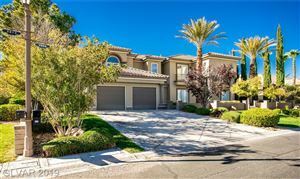 The Lakes is a master-planned community in the western part of the Las Vegas valley, featuring just 300 homes. The centerpiece and namesake of the community is Lake Sahara, a man-made 30-acre private lake where you can go boating and fishing. Beach View Estates is a gated community in The Lakes, featuring 37 custom luxury homes ranging from 3,200 to 6,400 square feet. Many of the luxury homes in Beach View Estates have access to the lake from private docks with stunning views. Lakes Estates, with 42 custom luxury homes, and Northshore Estates, with just 7 custom homes, are two more affluent gated neighborhoods within The Lakes. Shopping and casual dining are within walking distance at the Lake Town Center Plaza. This community is just minutes from Downtown Summerlin, Red Rock Casino, Boca Park and Tivoli Village where you will find high-end shopping, dining, and entertainment venues.